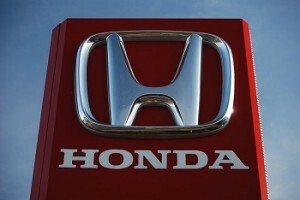 Honda is prepared to showcase its new fuel cell concept vehicle at the North American International Auto Show next year. Called the FCV Concept, the vehicle exists as the next iteration of Honda’s clean vehicle, the FCX Clarity. Honda was the first to launch a commercial hydrogen-powered vehicle in 2008, and the company has been devising plans for future vehicles equipped with fuel cells since that time. The FCV Concept will feature a more aerodynamic design, with a low and wide body. The interior is designed to be more spacious and comfortable, taking advantage of a new powertrain and the vehicle’s overall architecture. The vehicle was first unveiled in Japan in November of this year and Honda has made some modest changes to the concept car since then. As the FCV Concept is a concept car, Honda does not have concrete performance specifications available, but the production version of the vehicle is likely to perform in line with other fuel cell vehicles. Honda has taken note of the lacking hydrogen fuel infrastructure in one of its favored markets: California. The company has partnered with FirstElement Fuel to begin resolving this problem by building new fueling stations that will supply hydrogen. FirstElement Fuel will be using $13.8 million in funding to build these stations throughout California in preparation for the launch of fuel cell vehicles. California is currently considered one of the most attractive markets for clean vehicles. Many drivers in the state have shown interest in clean transportation, but few are likely to purchase vehicles that do not have adequate infrastructure support. Honda is one among several automakers that have been investing in California’s hydrogen fuel infrastructure. Some automakers believe that a comprehensive infrastructure will not be in place for several years and have opted to focus on the development of battery electric vehicles rather than fuel cell vehicles.